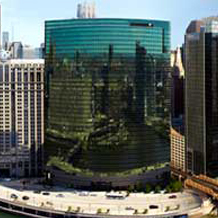 On March 29, 2019, the U.S. District Court for the Northern District of Illinois dismissed a putative $70 million class action lawsuit against the Sheriff of Cook County, ruling that the class-action complaint failed to state a Fourteenth Amendment due process claim against the Sheriff and his General Counsel. On March 26, 2019 the Illinois Appellate Court affirmed dismissal of a putative $15 million class action lawsuit against the Sheriff of Cook County, ruling that the de facto officer doctrine barred a correctional officer’s class-action challenge to disciplinary decisions of the Cook County Sheriff’s Merit Board rendered between 2011 and 2015. The Firm is proud to announce that its long-standing client, Accenture LLP, has named Scharf Banks Marmor as a winner in its 2018 Outside Value Award Program. Counsel Christian Liipfert gave the keynote address kicking off Iron Mountain’s 2019 Education Series. A renowned expert on Information Governance, Mr. Liipfert highlighted the events that made the news in 2018 and will have an impact on Information Management practices in 2019. At our recent Oscars Preview Party Scharf Bank Marmor Attorney Rebecca Ford, Movie Critic for the Chicago Daily Law Bulletin and Gary Zidek, Cultural Critic and Host of “The Arts Section” on WDCB 90.7/90.9 led a lively discussion of the 2019 Oscar Contenders. Moon Meals Appoints Scharf Bank Marmor’s Rhonda Coleman as General Counsel. Partner Ted Banks was recently interviewed by Adam Turteltaub, Vice President of the Society of Corporate Compliance & Ethics. In its “Compliance Perspective” podcast Mr. Banks provided advice to compliance officers on how to balance their obligations to the company, to the public at large and to the compliance profession. Partner Deirdre Fox was recently interviewed in Voyage Chicago’s “Thought Provokers” series where she discusses balancing art and the law. The series celebrates the artistic soul of Chicago. Ms. Fox focuses her art on environmental issues of sustainability and reuse. In his feature article published on June 5, 2018 in the American Bar Association’s International Law News. Aaron Schildhaus reviews some of the provisions of the GDPR that are important for US and other entities world-wide to know. Mr. Schildhaus recommends that companies outside of Europe refer to the provisions of the GDPR as setting an international standard for best practices. Partner Deirdre Fox’s sculptural corner drawing, Hold the Corner, has been selected for inclusion in the 24th Evanston & Vicinity Biennial Art Exhibition. The Biennial is one of the Midwest’s largest and most prestigious juried exhibitions. Ms. Fox maintains a thriving artist studio at Mana Contemporary in Chicago’s Pilsen neighborhood. Partner Deirdre Fox’s environmentally inspired art installations were featured at Mana Contemporary Miami in downtown Miami at the culmination of Ms. Fox’s May artist residency in May. Ms. Fox turned plastic bags, bottles and other scraps into room size site-specific wall drawings in the converted mall in Downtown Miami. Partner Ted Banks will be a member of PLI’s 2018 Antitrust Law & Regulation Program Faculty on April 16, 2018 in New York. This year’s program will examine recent developments in several key areas of antitrust reflected in recent decisions as well as vigorous enforcement in the US and around the world. Partner Ted Banks participated as a featured panelist in the Public Roundtable Discussion on Criminal Antitrust Compliance held at the United States Department of Justice in Washington, D.C., on April 9, 2018. With more than forty years of experience in the field of antitrust compliance, Mr. Banks was among a small group of distinguished experts selected for participation in the day-long program. Scharf Banks Marmor partner Ted Banks was quoted in an article that appeared in Law360 about the move from a law firm to a corporate law department. Christian Liipfert presented “Headlines: A Year’s Worth of Information Governance Failures” at the 2018 ARMA Houston Annual Spring Conference. Established in 1955 with over 10,000 members in the United States, Canada and 30 other countries, ARMA International is a not-for-profit professional association and an authority on managing records and information - paper and electronic. Partner Ted Banks was interviewed by Adam Turteltaub, Vice President of the Society of Corporate Compliance & Ethics. SCCE helps its membership of over 5,800 Compliance Officers and staff protect their companies and meet regulatory requirements through education, training and certification. In its “Compliance Perspectives” podcast, Mr. Banks discussed some of the key considerations professionals should be aware of as they move from a legal role to a compliance role. Aaron Schildhaus, Counsel at Scharf Banks Marmor, authored an article entitled “Impacting Your Company in Just a Few Months - the GDPR!" Published in the American Bar Association Section of International Law Privacy, Cybersecurity & Digital Rights Committee Newsletter, the article discusses the risk companies need to address in light of this new regulation. Mana Contemporary Chicago in partnership with the Eileen S. Kaminsky Family Foundation announced that Partner Deirdre Fox is a recipient of the 2018 Artist Residency. Candidates for the program were selected based on a portfolio review and statement of purpose. Ms. Fox will participate in a three-week residency at Mana Miami. Scharf Banks Marmor congratulates our Partner, Deidre A. Fox, on her appointment as the new Co-Chair of the National Association of Women and Minority Owned Law Firm’s Product Liability Practice Area Committee. Service to the bar has been an important part of Ms. Fox’s professional career. She assumes this new leadership position following her recently completed term as Chair of the Ilinois State Bar Association Intellectual Property Section Council. The Firm is proud to announce that Stephanie A. Scharf and Theodore Banks have been selected as Illinois Super Lawyers and George D. Sax has been selected as a Super Lawyer Rising Star by Super Lawyers Magazine. Partner Ted Banks authored the chapter, “Cybersecurity for the Little Guys,” in the Cybersecurity Handbook, recently published by the American Bar Association Cybersecurity Legal Task Force. On October 12, 2017, Partner Ted Banks was a lead moderator and Christian Liipfert (Counsel) was one of the discussion leaders for Today's General Counsel and Institute forum on Compliance and Ethics. As part of its video training program on diversity and inclusion, Partner Ted Banks was interviewed by the Illinois Supreme Court Commission on Professionalism on October 11, 2017. Partner Ted Banks spoke on a panel at the annual meeting of the International Competition Network (ICN), held in Ottawa, Canada on October 7, 2017. Ted’s panel addressed how small companies can implement effective antitrust compliance programs. Ted Banks chaired a panel at the American Bar Association Business Law Section Annual Meeting, Restoring Trust in Your Hotline: Protecting Whistleblowers from Retaliation after Wells Fargo. Scharf Banks Marmor hosted a reception on September 26, 2017 for Women Owned Law, a new national organization for women owned law and legal services firms and their supporters. On August 31, 2017, Marilyn Chimes will lend her unique perspective as a laboratory animal veterinarian and lawyer to an educational program on The Law and Bioethics of Using Animals in Research, sponsored by the Animal Law Section of the New Mexico State Bar. On July 27, 2017 clients, friends and colleagues of the firm gathered to celebrate Scharf Bank Marmor’s fifth anniversary and recognize its achievement on becoming Chicago’s largest women-owned law firm. Ted Banks is quoted about the reasons why a company might set aside a reserve to cover possible expenses due to antitrust litigation. We are pleased to welcome Deirdre A. Fox as a Partner with the firm. Corinne C. Heggie was sworn in as the Second Vice President of the Women’s Bar Association of Illinois (WBAI). We are pleased to announce that Aaron Schildhaus has joined the Firm as Counsel. Scharf Banks Marmor LLC was among the prominent Chicago firms featured in the Wall Street Journal. Congratulations to counsel Corinne Heggie for her inclusion on the “Women of Influence” list curated by Best Lawyers Spring 2017 Business Issue and the Coalition of Women’s Initiatives in Law. Christian Liipfert will be speaking on Information Governance at the ARMA Houston Spring Conference coming up on April 25-26, 2017. Counsel Deirdre Fox spoke on February 1, 2017 as a part of the Illinois State Bar Association’s live Continuing Legal Education program on Cybersecurity. Partner Ted Banks was a guest on a recent “Compliance Beat” Podcast where he discussed a number of issues related to compliance. Rebecca L. Ford, was chosen to serve as a judge for the Chicago-based John D. and Catherine T. MacArthur Foundation’s 100&Change competition. Attorney Corinne C. Heggie was a featured speaker during the live webinar, Vicarious Liability and Collections. Partner Ted Banks, along with other compliance attorneys, weighed in on the significance of the Plantronics decision as well as precautions to ensure compliance with e-Discovery demands in a recent Compliance Week article. Rebecca L. Ford is the new film critic for the Chicago Daily Law Bulletin. The Firm is pleased to announce that it now offers corporate clients a full service pay equity practice. Corinne C. Heggie has been appointed Co-Chair of the Women’s Bar Association of Illinois In-House Committee for 2016-2017 bar year. We are pleased to announce that Rebecca L. Ford has joined the Firm as Counsel. Corinne Heggie presented Meredith Ritchie, Vice President, General Counsel, and Chief Ethics and Compliance Officer of Alliant Credit Union with the Women’s Bar Association of Illinois'. On September 20, 2016, Corinne C. Heggie was installed as the Third Vice President of the North Suburban Bar Association (“NSBA”) for the 2016-2017 bar year. Deirdre Fox spoke about Employment Agreements, Non-Disclosure Agreements, and Data Security. Corinne C. Heggie spoke at the National Creditors Bar Association’s Fall 2016 Conference in Las Vegas, Nevada. We are pleased to announce that Corinne C. Heggie has joined the Firm as Counsel. Counsel Deirdre Fox’s art installation, This Was Not A Fishing Line, was featured in New Business at Hyde Park Art Center. Partner Ted Banks was featured twice as an author in the June issue of Business Law Today. Partner Ted Banks moderated a session at the American Bar Association Section of Litigation Food & Supplements Sixth Annual Workshop in Purchase, New York on June 14, 2016. Friends of the Firm gave rave reviews to Scharf Banks Marmor’s new “Beyond the Law” event series. Counsel Deirdre Fox and Jamal Edwards spoke about Huawei Technologies’ recently filed patent infringement suit against Samsung. Partner Ted Banks was a featured speaker at a webinar on April 21, Designing and Implementing Competition Law Policy and Training. Partner Ted Banks published “5 Things to Think About Before You Give that Compliance Presentation” in the newsletter of the Compliance Committee of the American Bar Association Section of Business Law. Partner Ted Banks, who spent 33 years rising to different in-house roles at Kraft Foods before co-founding the Firm, offered insights to Law360 readers about ways in-house counsel may position themselves for promotions. Counsel Deirdre Fox showed a large scale 3-dimensional drawing, which repurposed plastic convenience store and produce bags, as part of In Bringing Forth, an exhibition curated by Jeannette Tremblay, at Hyde Park Art Center. Partner Ted Banks co-chaired the Today’s General Counsel Institute’s Compliance & Ethics forum. Scharf Banks Marmor welcomes three new attorneys. Deirdre A. Fox spoke on a panel about data security and privacy concerns at State Bar Association (ISBA) program titled “Mining Data and Privacy: A Primer." The work done by Ted Banks, who serves as a compliance monitor for the Federal Trade Commission, was recently lauded in the “Competition Matters” blog from the FTC. Law Bulletin Publishing Company and its Leading Lawyers division announced that six attorneys at Scharf Banks Marmor LLC were named as 2015 Leading Lawyers or Emerging Lawyers, based upon a survey of their peers. Partner Ted Banks published “Why You Should Love Your Antitrust Compliance Monitor” in the June 2015 issue of Competition Policy International. Counsel Deirdre Fox has been appointed to serve a Chair of the Intellectual Property Section of the Illinois State Bar Association (ISBA). On May 11, 2015 the Firm co-hosted a NAMWOLF event featuring Brett Hart, Executive Vice President, General Counsel and Secretary, United Airlines and Chair of the 2015 Chicago Bar Foundations Investing in Justice Campaign. Deirdre Fox spoke on a panel that addressed the intersection of copyright, the Visual Artists Rights Act and art in public space. Partner Ted Banks chaired the PLI Compliance & Ethics Institute in Chicago on May 4-5, 2015. As part of the comprehensive curriculum, partner Sarah Marmor spoke on compliance requirements for social media. Partner Ted Banks, along with Eric Hinton, Chief Ethics & Compliance Officer at 7-Eleven, Inc., published an article, ‘The Biggest Compliance Mistake That Lawyers Make,’ in the In-House Access blog of the Association of Corporate Counsel. On April 1, 2015, the firm hosted a program of the Decalogue Society of Lawyers, featuring Ilinois Court of Appeals Justice Michael B. Hyman. Partner Ted Banks was honored at with the Distinguished Alumni Award at the 2015 International Law Gala Reception of the University of Denver Sturm College of Law on March 25, 2015. On March 2, 2015 Ted Banks wrote in Inside Counsel, Compliance Officers have complicated jobs. The March 2015 edition of Compliance & Ethics Professional, the magazine of the Society of Corporate Compliance & Ethics, features an article by Firm Partner Ted Banks. Scharf Banks Marmor LLC is featured as the cover story in the November 2014 issue of Chicago Lawyer magazine. Scharf Banks Marmor LLC has announced that Nina G. Stillman has joined its Chicago office as a partner, expanding and strengthening the firm’s Employment as well as its Occupational Safety and Health Administration (OSHA) practices. On October 30, 2014, Partner Ted Banks spoke at the special program of the Fordham Corporate Law Center, "What You Need to Know Today in Dealing with the DOJ." On August 4, 2014 Partner Ted Banks authored the article What Really Should be in General Counsel's Skill Set in Law Technology News, published by American Lawyer Media. Marilyn Chimes, Counsel with the Firm and Board-certified Doctor of Veterinary Medicine, has authored a chapter in "the Bible" for federally required animal welfare oversight committees within research institutions in the U.S. -- The IACUC Handbook 503. For many years, many people thought that agreements regarding employees were not covered by the antitrust laws. The Illinois Supreme Court unanimously ruled yesterday that Illinois’ anti-eavesdropping law, which prohibited recording conversations without consent of all involved, was unconstitutional. Is Your Antitrust Compliance Program Effective? On March 20, 2014 Ted Banks has written a new article for the American Bar Association Antitrust Section Compliance & Ethics Sportlight, "Is Your Antitrust Compliance Program Effective?" The Chicago Daily Law Bulletin headlined the Firm’s December 11 holiday party. Ted Banks discusses the case brought by the FTC against Wyndham Hotels for failing to protect credit card information. Ted Banks was interviewed in November 2013 about developments in the food industry on the Internet radio program, "Money for Lunch." Partner Ted Banks was a featured speaker at the 2013 Compliance & Ethics Institute of the Society of Corporate Compliance & Ethics, held in Washington, D.C.
On July 31, 2013, over 70 guests attended a Networking Reception for In-House Counsel held at Scharf Banks Marmor LLC’s offices. Ted Banks Speaks on "Discrimination in Price and Promotions"
Ted Banks spoke on "Discrimination in Price and Promotions." Firm Hosts Reception Featuring Author of "Politics, Health & Health Care"
The Firm held a reception featuring "Politics, Health & Health Care" by Theodore R. Marmor and Rudolph Klein. Ted Banks was the chair of the Practising Law Institute Corporate Compliance and Ethics Institute 2013,held in Chicago on May 9-10. Partner Ted Banks was a speaker on a webinar presented by the ABA Antitrust Section - Compliance & Ethics Committee, "Antitrust Programs and the AU Optronics Case." Scharf Banks Marmor hosted a meeting of the America-Israel Chamber of Commerce featuring Professor Mordechai Shechter. Scharf Banks Marmor LLC hosted a special reception for attendees at the Practising Law Institute's Compliance & Ethics Institute in Chicago. Ted Banks was recently named as Compliance Monitor by the Competition Bureau of Canada. Legaltech News features attorney Ted Banks speaking his mind on the new iPad Mini and similar devices. Counsel Deirdre Fox was selected to be Vice Chair of the Copyright Subcommittee of the Intellectual Property Section of the Illinois State Bar Association for 2012-2013. Firm partner Theodore L. Banks has written an article called "Preventive Measures in a New Age: Preparing for New Technology and New Statutes." Partner Ted Banks co-authored an article in the Denver Journal of International law & Policy, "The International Law of Antitrust Compliance." Scharf Banks Marmor LLC is delighted to welcome its Summer Interns, all from the University of Chicago Law School. Several publications have featured the Firm’s innovative approach to law practice management, including use of state-of-the-art technology and flex-time hiring.